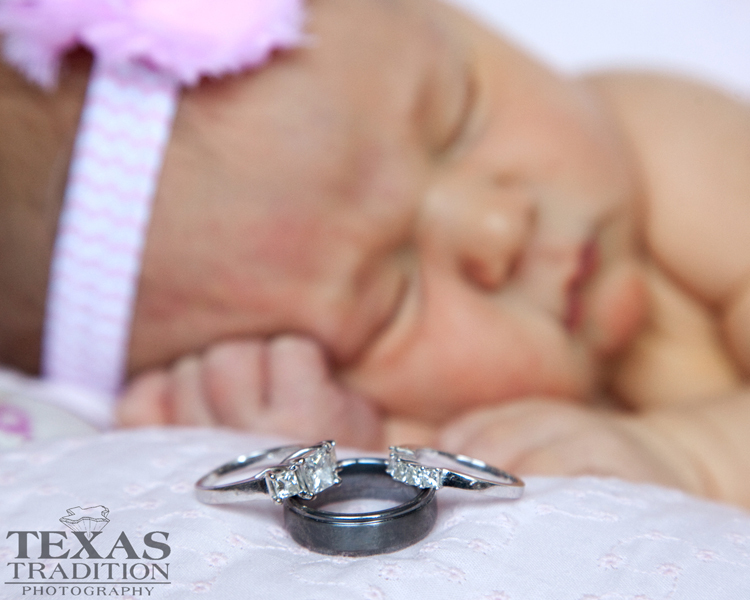 The Honeymoon Baby- Texas Tradition Photography welcomes it’s latest newborn! We were lucky enough to photograph Sara and Jonathan’s wedding last year, and nine months after the honeymoon, their daughter! 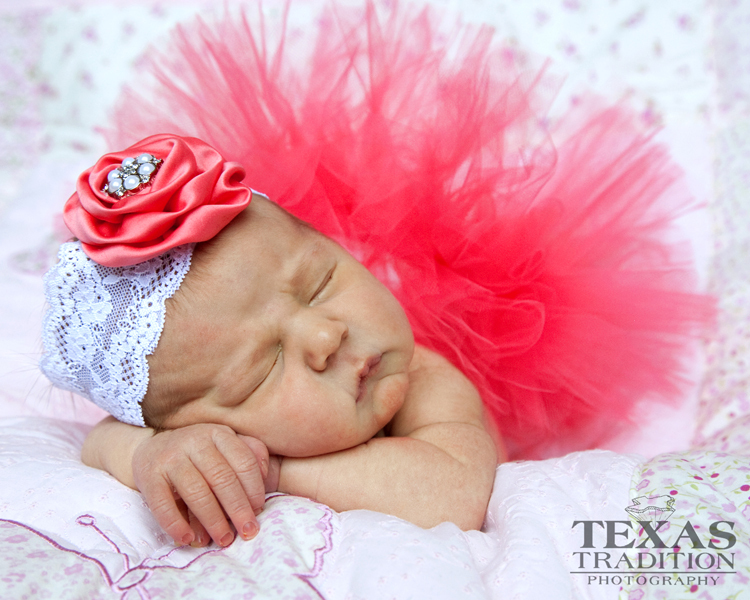 Take a look at her ADORABLE portraits! Cora took a little while to settle down, but once she did, she showed off her sweet personality! Don’t you just love the chandelier? It’s so whimsical! Sara brought the cutest tutu and headband! Cora was a great sport and didn’t wake up at all when we were dressing her up. We’re pretty sure Cora had an excellent nap when she went home! 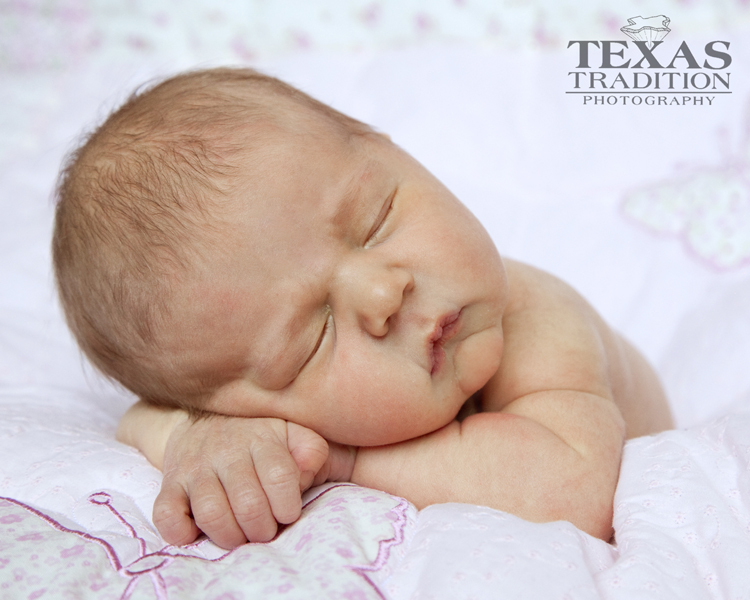 Texas Tradition Photography enjoys photographing newborn portraits. 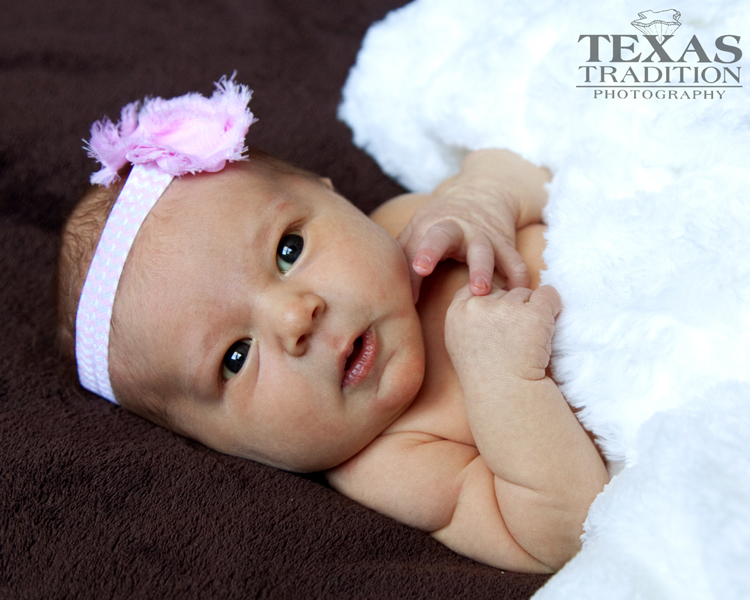 Texas Tradition Photography photographs newborns in the Dallas Fort Worth area. 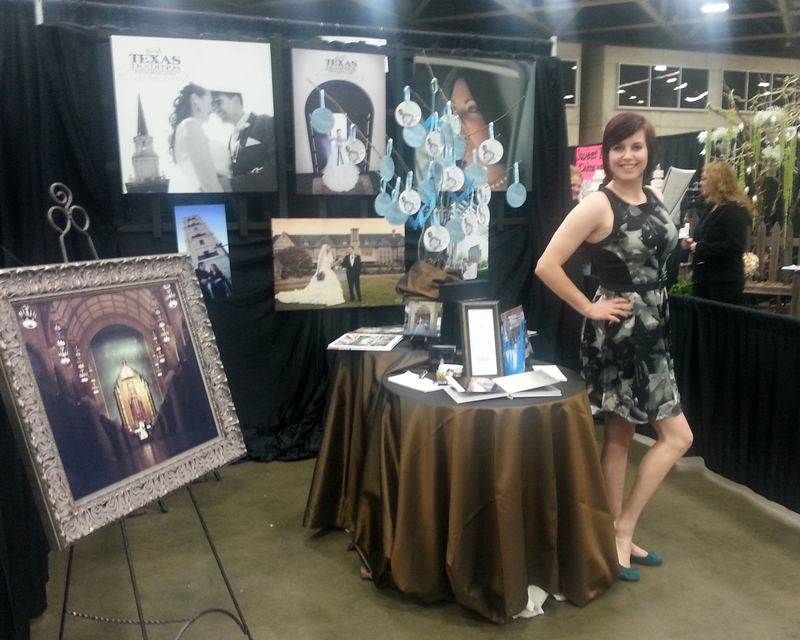 Dallas Signature Bridal Show – Texas Tradition LOVES brides! 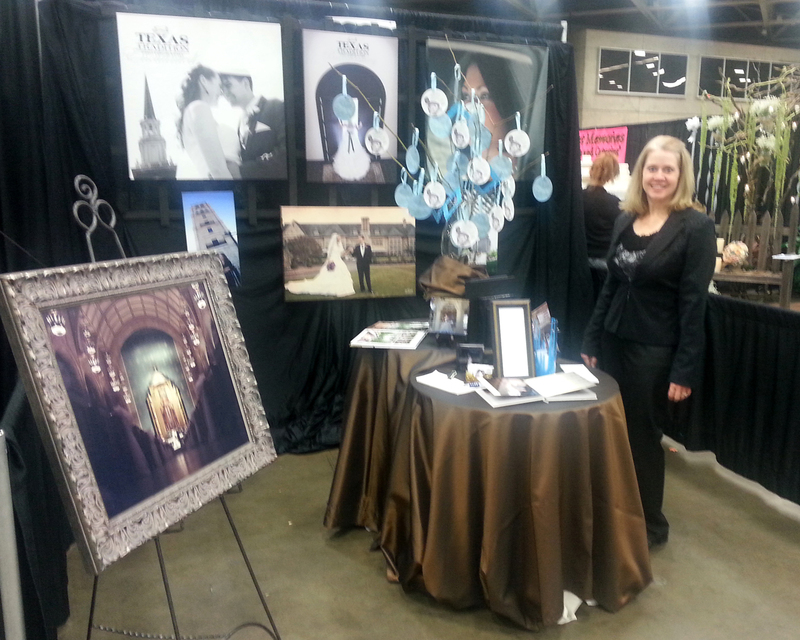 This past Sunday Texas Tradition Photography attended the Dallas Signature Bridal Show. It was awesome! We were able to meet with so many excited brides. Some brides just got engaged, while others were getting close to their wedding date and only had a few more vendors to book. Our booth looked great too. We had such a big turnout that we named two winners of our mini-engagement session giveaway! Congratulations Beth Crutcher and Lindsey Foster!!! 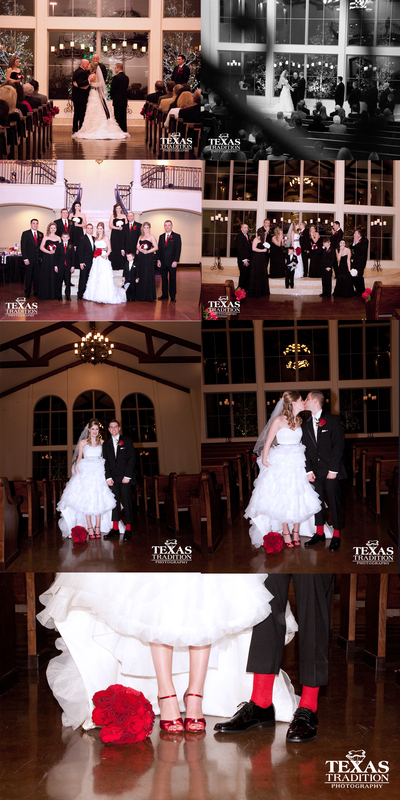 Texas Tradition Photography enjoys providing quality wedding photography for the Dallas Fort Worth Area. 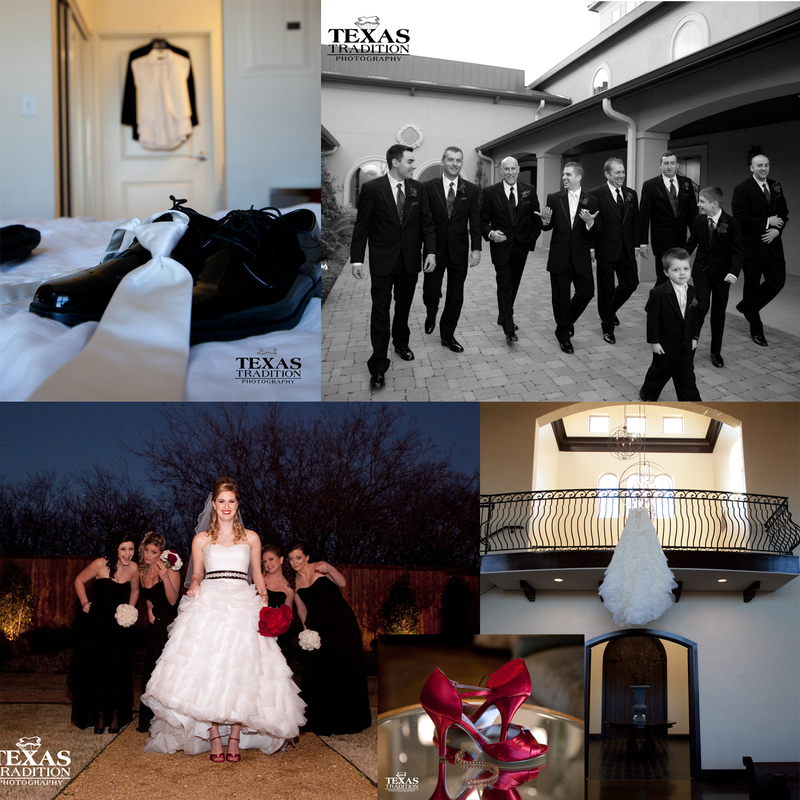 Texas Tradition Photography has the classic timeless style that Dallas brides are looking for. It finally happened! The second Joseph asked Alyssa to marry him, we have been counting the days until their wedding. The wedding was worth the wait! Here’s a sneak peek at their amazing wedding! The boys hung out and played video games all morning. The girls had their hair and make up done by the talented Angela Boncek. Their beautiful hair should have stopped them from having a pillow fight and practicing their dance moves… But it didn’t! The boys looked pretty sharp in their red vests and matching hanky, and the ladies looked flawless! Once it was time for Alyssa to walk down the aisle, it was hard to keep from tearing up. They were made for each other! After a romantic ceremony, the couple was off to dance the night away. The reception was breathtaking thanks to Darla from Lyon’s Share Events. Frosted Art created the amazing (and delicious) cakes! Joseph’s Airplane cake even lit up. After one last private dance set up by Justin Williams from Intelligent Light and Sound, the couple made their getaway! As the crowd waved their glow sticks, Alyssa and Joseph slid into a classic white Rolls. STUNNING! Texas Tradition Photography photographs weddings around the Dallas Fort Worth Area. 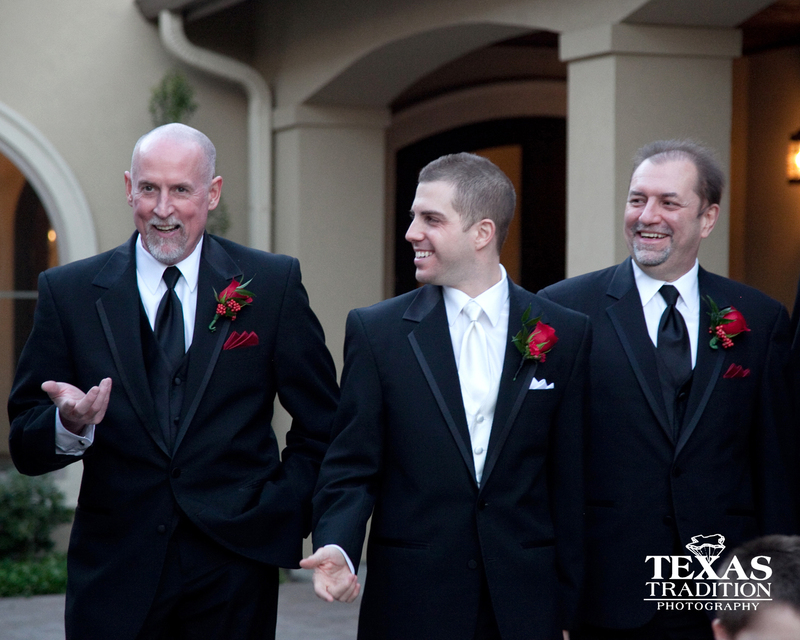 Texas Tradition Photography enjoys photographing weddings at venues like Chapel Ana Villa.